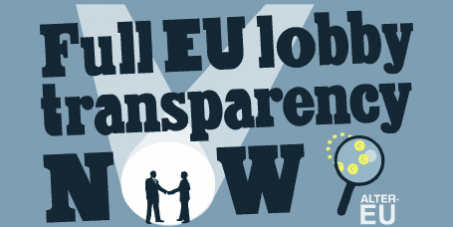 Full EU lobby transparency now ! Decision-makers in Brussels decide on many issues which affect our daily lives. And for every important decision made, corporate lobbyists are there: meeting officials, sitting on top-level advisory groups, wining and dining politicians, drafting amendments... and all too often, these tactics work. On the occasion of climate conference in Warsaw (Poland - COP19 - November 11-22), nearly 140 organizations and networks worldwide, including the European Water movement, published a statement titled "Stop the corporate takeover and expansion of carbon markets now!"